The Punta Mango area is simply the most beautiful stretch of beach in El Salvador. Untouched by much development, the area feels like Central America of generations past. The average water temperature is 80+ degrees, and the waves are consistent throughout the year. 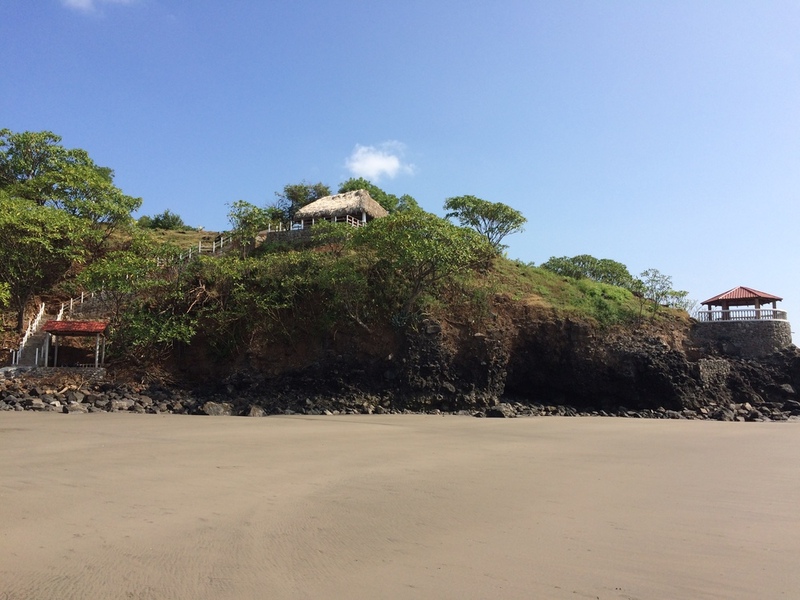 The location of Villa Punta Mango allows guests to enjoy views that stretch from Nicaragua out to the western horizon. The property has been designed knowing that you will want to spend their time outdoors experiencing the views, resting in the shade, and taking in the beauty around you. At the tip of the point is a beautiful glorietta that is nearly surrounded by the sea at high tide and has unreal views. It has a large table for meals or hanging out, and several hammock chairs. There are custom rock staircases on both ends of the property leading to two different very private beaches. Both have covered pavilion areas at the bottom so you can hang out in the shade while watching the waves or your kids play in the sand. The expansive virgin beaches are untouched and unspoiled. The infinity pool has a built in seating area and bar. It faces the famed Punta Mango point. You can watch the surfers slipping into El Salvador's best barrel, while eating lunch in the pool. The large thatched rancho is one big outdoor living room with comfortable furniture to sit and stare at the amazing beach, and multiple areas for hammocks. A world-class point break sits out front as well as a mellow beach break for learners. Punta Mango is known as a world-class right point break. When conditions are right the wave provides hollow barrels and long rides. The wave is recommended for more experienced surfer. What is little known is that just yards away is a mellow sand beach break. 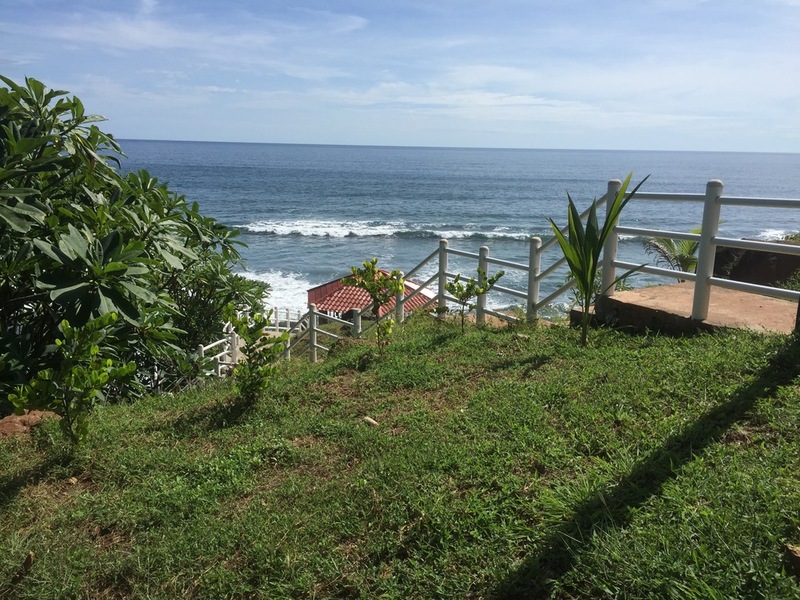 These waves that sit out front of Villa Punta Mango are perfect for learning how to surf or for riding a long board. The beach provides fun for people and families at all levels. The rancho sits on the key point of the property overlooking the Punta Mango surf break. You can rest in hammock and loose track of time or take a dip in the infinity pool to cool off. Groups can use this space to gather during their stay. The property sits in some of the most untouched land of El Salvador. It is surrounded by beautiful trees and rolling jungle covered mountains. With little of the area developed, it is easy to enjoy your surroundings. Just about every point on the property has a view of the Pacific. Wake up to the sunrise to the east and watch the sun go down to the west. Both can be enjoyed in the same spot. Villa Punta Mango is located at Playa Los Mangos, caserío Agua Fría , Jucuarán Usulután. San Salvador : Follow signs to La Libertad. In El Puerto de La turn left toward Airport (Eastern) Freedom . After the Airport follow the 'Beaches East/Zacatecoluca' signals Passing Zacatecoluca. Moving from Zacatecoluca follow the signs to Usulutan, will pass through the town of Usulutan and will go straight ahead , then I continued on the road of the Coast, approximately 30 min after ride will to a circle , called 'Delirio 'with a sign that says turn right 'El Cuco' . Continue on this road to the town of El Cuco. Turn right (west) and drive uphill 10 km to reach the Playa Los Mangos, there you will find at Villa Punta Mango on your left side. Airport: 2 km from the airport will find the 'Beaches East/Zacatecoluca' signals turn right following this signal. Moving from Zacatecoluca follow the signs to Usulutan, you will pass through the town of Usulutan and will go straight ahead, then continue on the road of the Coast, approximately 30 min after you arrive at a roundabout called 'Delirio' with a turn signal that says 'El Cuco' the right . Continue on this road to the town of El Cuco. Turn right (west) and drive uphill 10 km to reach the Playa Los Mangos, there you will find at Villa Punta Mango on your left side. San Miguel : After the shopping mall, Metrocentro follow the signs 'El Cuco' turning right , thencontinue on the road for about 25 min to reach a circle , called ' Delirio ' Continue straight approximately 20 min drive find the Cuco. Turn right (west) and drive uphill 10 km up to the Playa Los Mangos, there you will find at Villa Punta Mango on your left side.